Retired Lt. Gen. Gary Cheek has been named director of the Bass Military Scholars Program at Vanderbilt University. 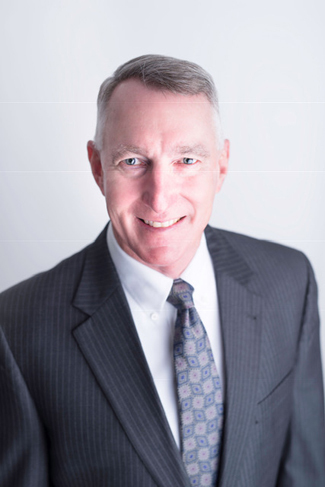 Gary H. Cheek, a retired United States Army lieutenant general with extensive experience mentoring and leading teams, has been named the director of the Bass Military Scholars Program at Vanderbilt University. 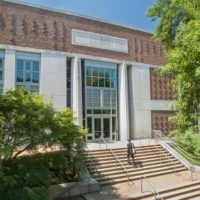 The new program will support up to 40 scholarships and programming for honorably discharged military veterans pursuing graduate and professional degrees at the Law School, the Owen Graduate School of Management, Peabody College of education and human development, the School of Medicine and the School of Nursing. The program was established in 2018 with a $25 million gift from the Lee and Ramona Bass Foundation to honor the leadership traits and commitment to service embodied by current and former members of the U.S. military. Cheek will join the university this spring, and the first class of Bass Military Scholars will enroll this fall. The program will provide at least six scholarships for veterans beginning with the 2019-20 academic year, growing to cohorts of 10 or 11 scholars per year over time. In addition to scholar recruitment, Cheek will be responsible for the design and implementation of programming to engage the Bass Military Scholars in the life of the Vanderbilt community as leaders and mentors. Scholars will meet regularly as a group as participants work toward degrees in different schools. 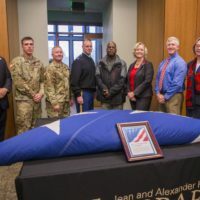 They also will participate in a range of campus service activities designed to foster military-civilian exchanges and mentorship opportunities within the broader Vanderbilt community. Cheek’s extensive military career spanned both international and domestic service. Before retiring in 2018, he served as the director of the Army Staff in Washington, D.C. In this role, he integrated and directed strategic-level actions for the Department of the Army and represented the Army in government, public and congressional engagements, and coordinated and resolved sensitive issues and requirements with field commanders, other government officials and the media. From 2011 to 2013, Cheek served as deputy commanding general, U.S. Army Central at Camp Arifjan, Kuwait, and in Amman, Jordan. He supervised the daily operations of a forward-deployed field army in support of combat operations, supervised the reception and redeployment of 150,000 soldiers during the retrograde from Iraq, and established a forward headquarters in Jordan at the onset of hostilities in Syria. Cheek served as director of Military Personnel Management from 2010 to 2011, where he directed policies and requirements for recruiting, retention, promotion and separation for the U.S. Army for the more than 1 million soldiers in the regular Army, Army National Guard and Army Reserve. He also oversaw the U.S. Army Joint Staff Internship Program, a competitive three-year program for a master of policy management at Georgetown University for the top 1 percent of Army captains, followed by internships with the Joint Staff and Army Staff. From 2008 to 2011, Cheek was the commanding general for the U.S. Army Warrior Transition Command in Washington, D.C. During the peak of the conflicts in Iraq and Afghanistan, he directed the U.S. Army program to care for over 13,000 wounded, ill and injured soldiers and their family members. In this role, he created cadre training programs, developed military construction plans, and inspected subordinate units for compliance. He also created and executed the Warrior Games for all services, and routinely engaged congressional leaders, other departments and agencies, and the media. Cheek is a graduate of the U.S. Military Academy with a bachelor’s degree in aerospace engineering, and he received master’s degrees from the School of Advanced Military Studies and the U.S. Army War College. Cheek will report directly to Wente and will serve as a member of her executive leadership team. He will work closely with Vice Provost Cynthia Cyrus, who co-chaired the search committee with Wente and has been working with each of the schools to establish application procedures and to recruit the first class of Bass Military Scholars. The search committee included a Board of Trust member, a current professional student, leaders from across five Vanderbilt professional schools and members of the central administration. “I am very grateful to the entire search committee for their dedication throughout this process and for their commitment to the program’s success,” Wente said.